Portrait of the Artist as a Young Dog is made up of a series of vignettes, apparently loosely autobiographical, that follow young Dylan from childhood to early adulthood before he moved to London. They are beautifully written and absolutely draw you into the life of a young boy and through him to gain a flavour of life in Wales in the last century. There are some great stories, especially for me the earlier ones where you see a child’s bafflement at getting to grips with social niceties and trying to understand why adults act in the way they do. It rather artfully lays bare the quixotic nature of a lot of adult interactions. There is a great story of a time when he was dragged along as a child while two women confronted a man with cheating on the both. There is something so surreal about these two women gearing themselves up to have it out with this man while they have a child in tow, it is fiercely snowing and the only place they know to find him is a bus stop. And Thomas so beautifully captures the still moments in all of the action, and I think that makes the story even more poignant. He also vividly captures the experience of love for both teenagers and young adults throughout his book – the fun, the sad, the exciting and the awkward. All in all, it was a good read and really well written. 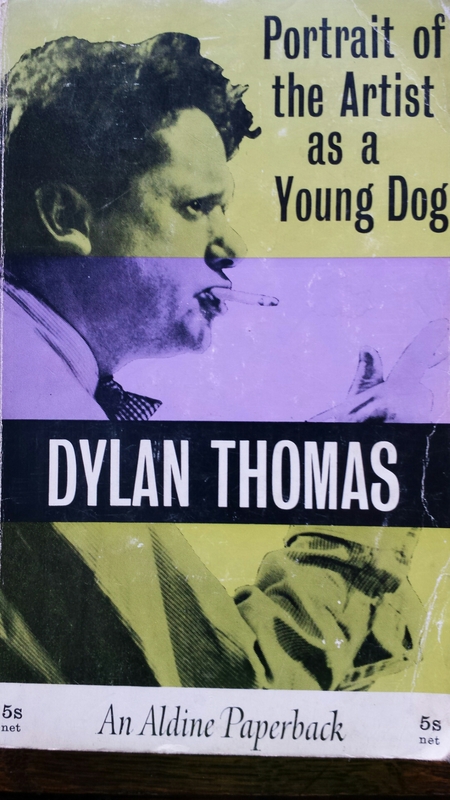 Tags: autobiography, book, book review, books, Dylan Thomas, Portrait of the artist as a young dog, Wales. Bookmark the permalink. Read other Dylan Thomas works but not this one. Definitely goes on to my ‘must read’ list.